In January 2016 I spent several days at my Mother's bedside as she was readying herself to cross over the veil. Being with my Mother for this time, feeling her love and strength in a deeply powerful way, touched me very deeply. I had promised her I would be there by her side, all I could do was witness her earthly body lose its strength and all the while her spirit never dwindled. There was a felt sense of Love and Angels in the room with us, such heat, warmth and peace we felt each night, my sisters and I, sleeping on the floor so as not to leave her side. 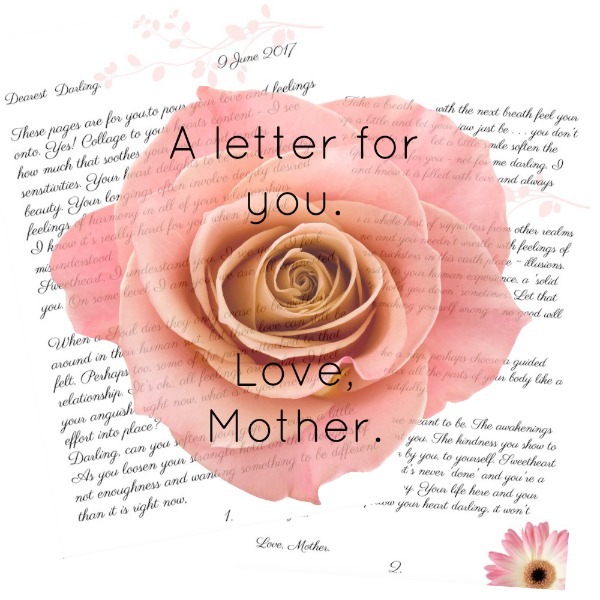 I share this intimacy with you as I know many of us have or have had complicated relationships with our Mothers. I know mine was complicated for more years than not. Over a year after her death I was still coming to terms with the sacrifices I believe she made and seemingly without much choice. There are some deep wounds in need of healing for many of us. I have received two letters like the one below. 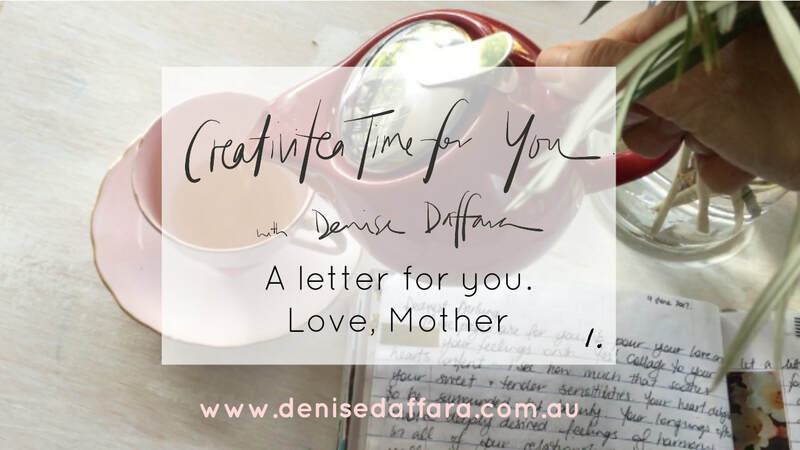 While in a place of quiet and listening in my journal, they poured through my pen as though gently and directly 'channelled' it was as if I was receiving a message not only for myself but to share with others who may be in need of this comfort too. In this video below, I read it aloud. I invite you to hear it as though it may encompass 'Mother Love' from a larger perspective. I wish I could post a copy to all who asked, so in lieu of that, I have made a printable version available for you if you would like to be able to print it and have it to keep, or add to a journal spread. Two pages to print & keep if you'd like to be able to re-read. The PDF will be sent to you via the email you use with paypal.